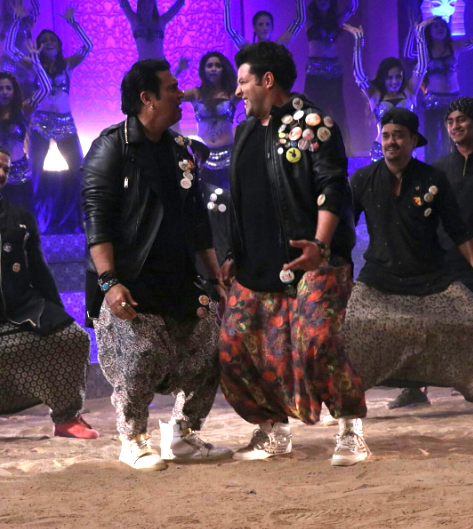 The first song ‘Chotey Bade’ from the upcoming comedy movie Fryday is out and it’s nothing less than a treat for all Govinda and Varun Sharma fans. Govinda and Varun are seen grooving to the foot tapping and peppy party song for the first time. The song shows the chemistry that the Dhamakedaar Jodi naturally share and their goofy variety of dancing skills. The song is penned by Anurag Bhomia and is sung by Mika Singh and Ankit Tiwari. Presented by Inbox Pictures Pvt Ltd, Produced by Sajid Qureshi and Co-Produced by PVR Pictures. FRYDAY is directed by Abhishek Dogra and will release on 12th October 2018.